Unboxing: Marvel Legends Scream (Monster Venom BAF) action figure – AiPT! The Symbiote lineup just got a lot bigger for Venom. 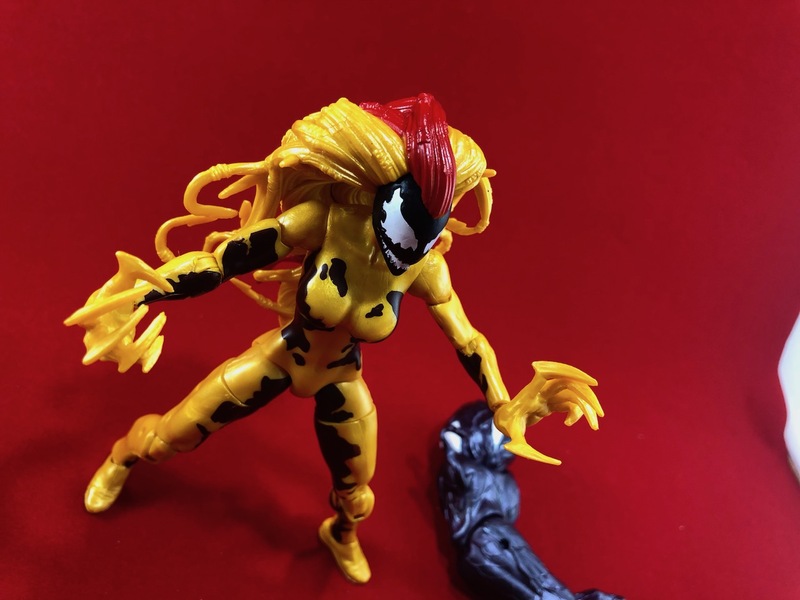 I’m working my way through the Marvel Legends 2018 Venom wave figures first unboxing Spider-Ham, then Carnage, then Typhoid Mary, and finally we’ve got Scream. This is a highly coveted figure since it’s one of the most recognizable Symbiotes not named Carnage or Venom. It’s also the only female Symbiote villain of the bunch. Check out the unboxing and my snap judgments below. So as you can see I really liked the paint job and hair on this toy. The hair is rather thick and has very cool details that make it look alive. The face is very villainous too and should fit right in a rogues gallery lineup. The only downside I can see is a lack of accessories, but for a figure like this do you really need them? A very cool figure that evens out the Symbiote lineup. The Critical Angle: Batman’s an atheist? Not so fast. Changes and the Oscars: What does it mean and does it even matter?